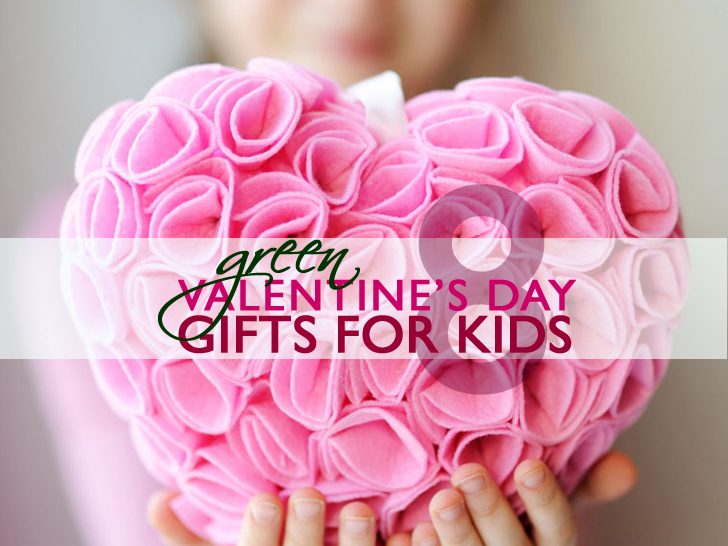 Looking for a sweet gift to give your child this Valentine's Day? We've rounded-up an adorable assortment of fair-trade, eco-friendly Valentines that go above and beyond candy and cards. Treat the littlest, yet greatest love of your life to a sentimental offering that will fill his/her heart with joy. Read on for 8 green gifts your tots are sure to love. The Oeuf Heart Dress is handknit using 100% baby alpaca wool by a community of self managed indigenous women in Bolivia. 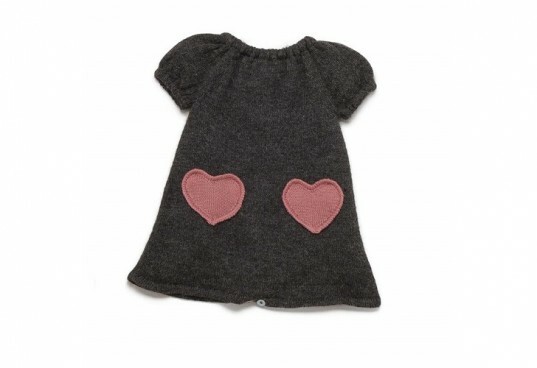 The dress features two heart shaped pockets and an elastic collar. Available in sizes 6 months-2 years in three different color combinations. Stubby Pencil’s Color ‘n Kids Valentines are made with 100% recycled paper. The kit comes with 12 eco-friendly love notes, with rounded corners, ready to be colored by your child. Envelopes are included. 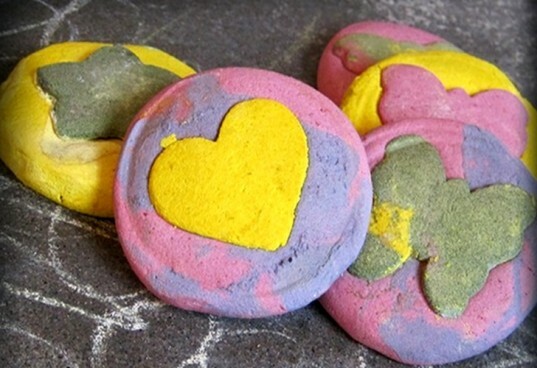 These edible chalk discs from Wee Can Too Art are perfect gifts for kids of every age. Made with organic beets, spinach, blueberries and other edible ingredients, these discs are safe to eat, though their recommended use is for coloring! The chalk is vegan and dairy and wheat free. What better way to spread the love than with TOMS One for One charitable campaign? For every pair of shoes purchased, TOMS donates a pair to a child in need. 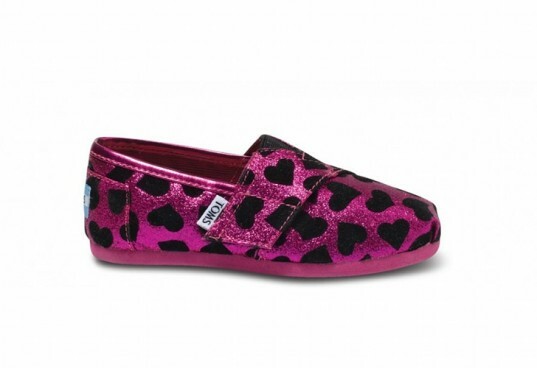 These glittery Pink Heart Tiny TOMS have a velcro closure, so little ones can independently put their shoes on and take them off. They boast the classic TOMS suede insole with cushioning for comfort. Available in T2-T11. 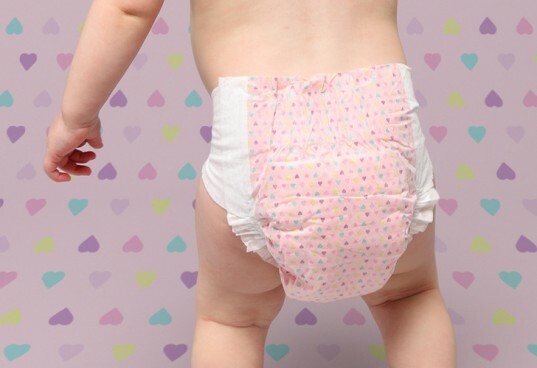 These adorable heart diapers by The Honest Company. are made with naturally biodegradable and pure plant-based PLA and bio-based wheat / corn super-absorbent materials blended with reduced SAP gel. Honest Diapers Do NOT Contain: chlorine, perfume, phthalates, lotions, optical brighteners, PVC, heavy metals, and organotins. Available in sizes newborn-6. 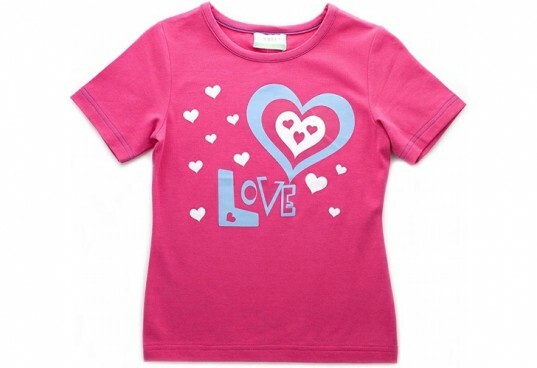 Nohi Kids uses a blend of certified organic cotton, fiber from bamboo, and lycra to make this sweet Love Shirt. All of the inks used in Nohi Kids products are water-based and safe for the environment. This festive tee is available in sizes 2T-7/8. 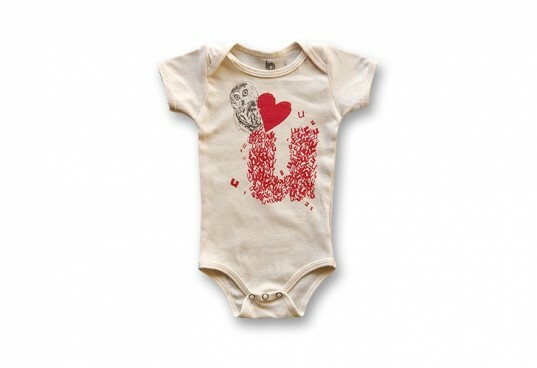 This gender neutral tagless bodysuit is made out of 100% organic cotton and dyed with waterbased ink. The Owl Love You design has an owl over the u for a playful approach to the alphabet and animals. The bodysuit is available in sizes 3-6 months and 6-12 months. Children Inspire Design uses recycled cardstock and soy ink to create all of their prints. This sentimental original collage is made with recycled paper in a certified green studio, and it makes a bold statement in 11×14 size. Stubby Pencil's Color 'n Kids Valentines are made with 100% recycled paper. 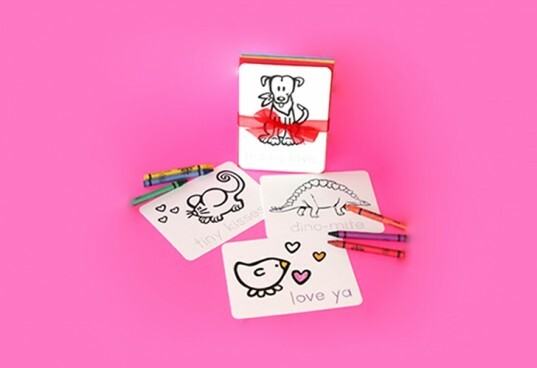 The kit comes with 12 eco-friendly love notes, with rounded corners, ready to be colored by your child. Envelopes are included. 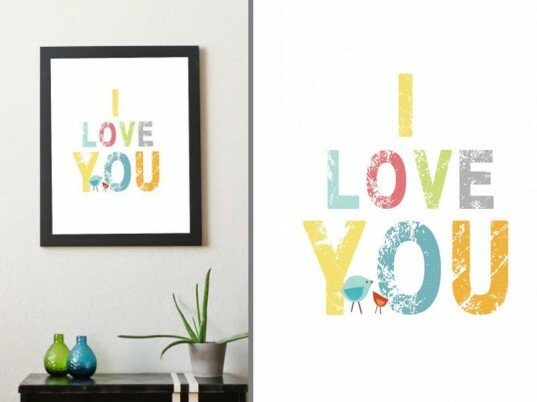 Children Inspire Design uses recycled cardstock and soy ink to create all of their prints. This sentimental original collage is made with recycled paper in a certified green studio, and it makes a bold statement in 11x14 size.